Default, the Dell laptop keyboard backlight stays lit when you type. And when you stop typing, after 5 seconds the keyboard backlight will automatically turn off. 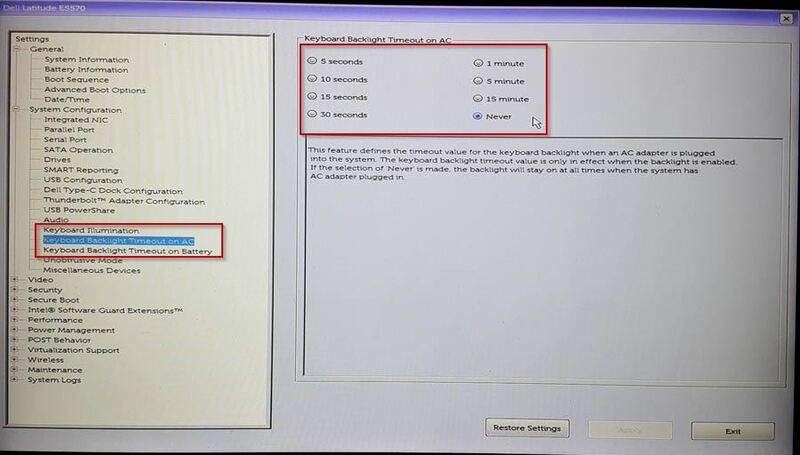 If you see the 5 seconds is too short, you can change it by going to BIOS to adjust Keyboard Backlight Timout. And here is the detailed way that you can apply. 1: First, if you are using a laptop. You need to Restart your Laptop, and when it Boots, press and hold F2 key until when entering the BIOS. 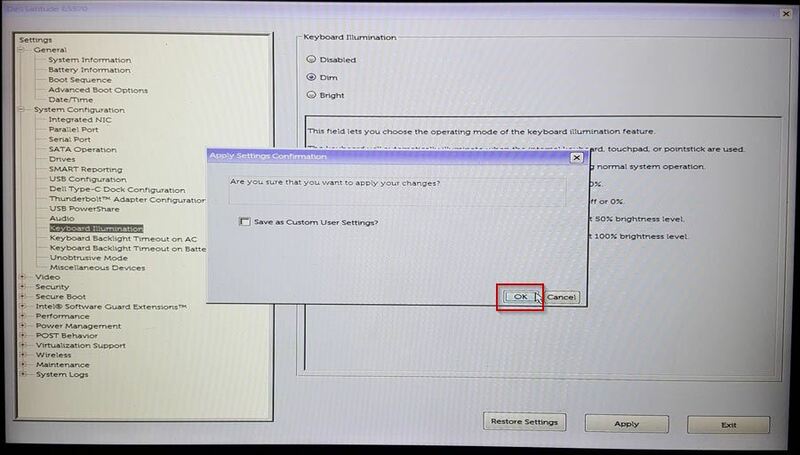 2: And then, expand the System Configuration, you will see 2 individual options to change adjust keyboard backlight timeout. Keyboard Backlight Timout on AC. Keyboard Backlight Timout on Battery. 💡 If you want to turn off Keyboard Backlight Timout, select Never. 3: In addition, if you want to save energy you can choose to Keyboard Illumination. And with 3 options, choosing DIM option is the best way to save energy. 4: To apply the changes you choose Apply button and then, a window appears, select OK to save. 5: Finally, if you do not change anything else, choose Exit to exit the BIOS and your computer will automatically restart to Windows. 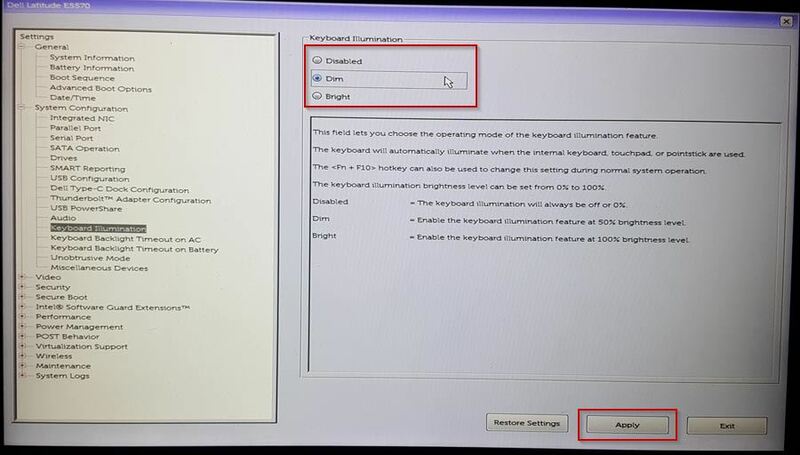 Now, it’s your turn to apply the steps above to asjust Keyboard Backlight Timout for Dell laptop. Hope it works for you.